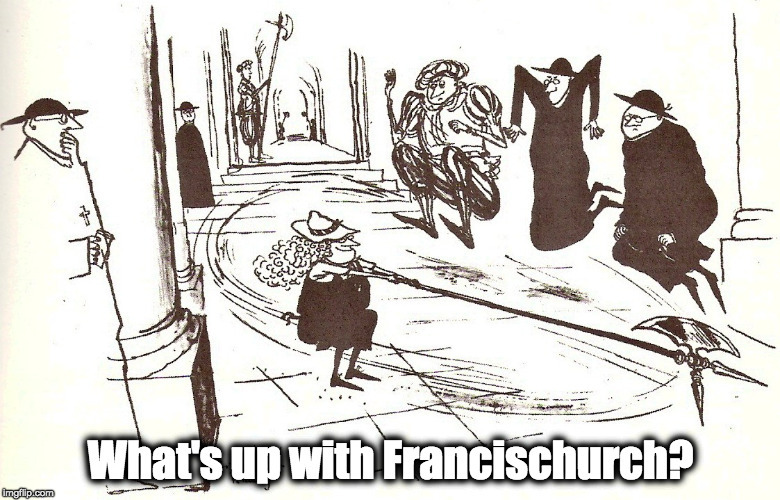 Chant and art – What's Up With Francis-Church? A palate cleanser. While the Latin Church is under this ferocious persecution by the devil, there are still places where God and the Incarnate Word are honoured. It’s called a “semantron”. I love those cool Greek names. I think Gregorian chant is such a different and holy form by comparison. Its hard not to be irritated by the thick metrical pulse of the Orthodox music. It sounds like folk music in form. Though pleasant sounding in harmony It never really takes flight for me. Thanks Hilary. These are the sounds God likes best. Mahometans putatively worship the same God as does the true religion but Mahometnas definitely do not worship religious liberty.